Hamilton May is pleased to present a studio apartment offered for sale in a new investment in an extremely attractive location - Wola Justowska. Hamilton May is pleased to present a high standard studio apartment, located at Paulińska street in the Kazimierz district. 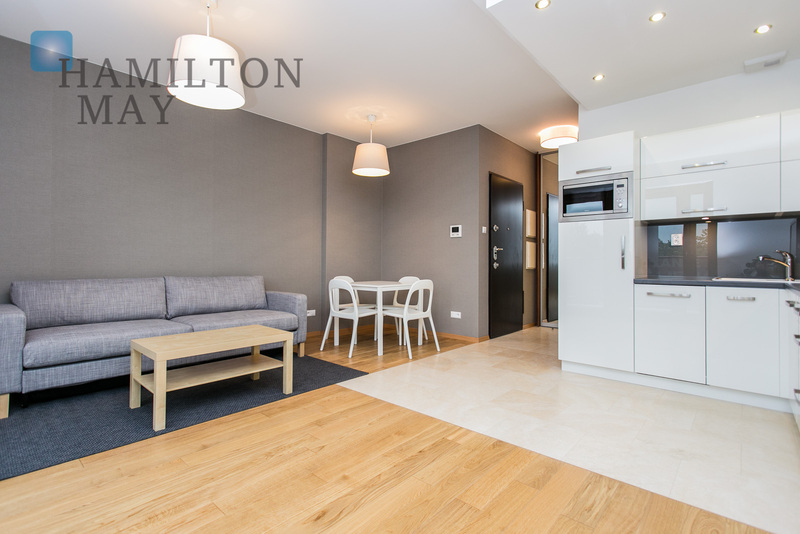 Hamilton May is pleased to present a studio apartment located on the second floor in a cozy building on Tarłowska street. The vast majority of residents of Krakow live in apartments, and most of these are quite small by international standards. For this reason, there is always a good selection of studio apartments available for sale in Krakow. See Hamilton May’s list of studio apartments for sale here. Studio apartments can be found in most residential apartment buildings throughout Krakow. Some developments in fact have a majority of smaller one-room apartments. Such apartments appeal to a variety of buyers, mostly singles or couples. Parents with children attending university in Krakow will often also buy a studio apartment for them to live in. Sales prices of studio apartments vary according to the standard and location, but are generally priced at a higher level than comparable larger apartments. For this reason, such apartments are favoured by investors who can increase their return. Hamilton May always has a large selection of good standard studio apartments for sale in Krakow.